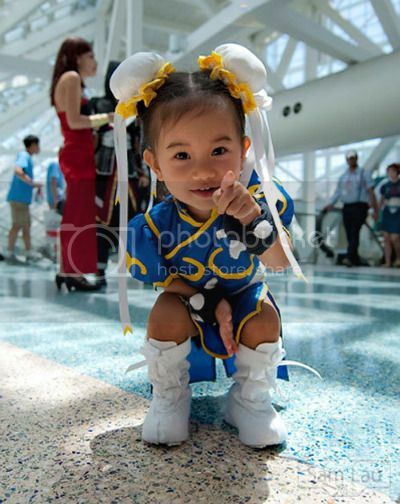 An adorable little girl in a Chun Li costume from Street Fighter. I think we can all agree that 2009’s Street Fighter: The Legend of Chun Li would have been ten times as successful with an all-toddler cast, a la Muppet Babies. Via Kotaku, who thinks Street Fighter would have been ten times the film if it was actually a movie about Muppet babies. She is so cute!! Why don’t I have any nieces to dress up like this? I want a toddler Reaver to round out the cute inappropriateness!